As part of our prediction of where design may evolve in the future, we have focused heavily on technology and the way in which humans interact with it. One of my colleagues, James, put forward the idea that the creator's relationship with technology can be classes in three ways; specialists, users and, rejectors. The specialists rely wholly on the use of technology within their work, whether it is in advanced manufacturing, smart materials or e-commerce. The users adapt the technology available to them and mould it for their own purposes, making items that straddle the traditional/technological divide. The rejectors refuse to use any technological advances to aid their work, instead they rely solely on traditional methods. The work of each group has its pros and cons and there is a debate as to whether it is better to produce the "souless" fully automated items, which lack any of the natural human error that comes in craft, or if it is a hindrance to not allow any technology in to your work, even if its allows for higher profit margins due to time efficiency. So what trend could we predict? Which way did we think design was going? 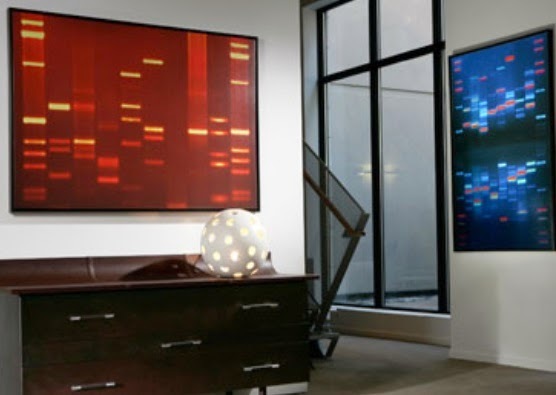 As the internet allows the world to become smaller and smaller and creative technology becomes cheaper and more available to the general public, there is a blurring of the traditional disciplines in art and design, and within the scientific world. 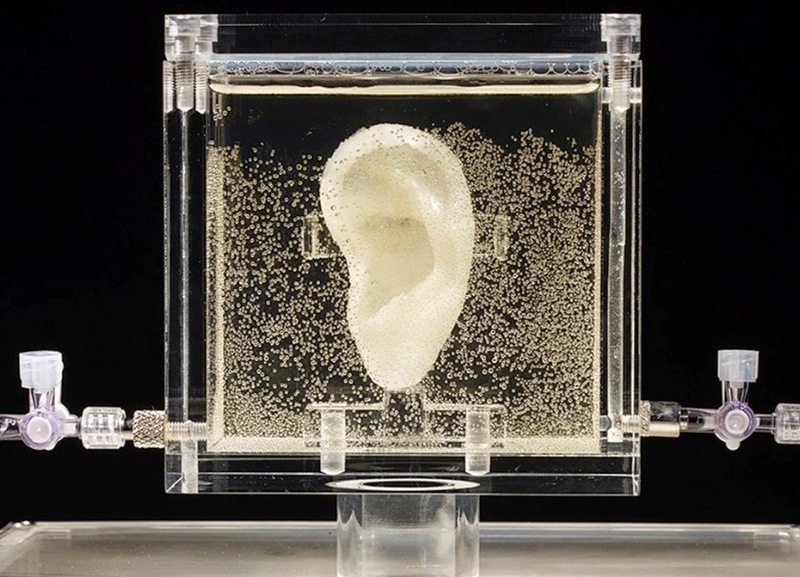 Increasingly designers are collaborating with computer scientists to make intuitive digital user interfaces, and artists are working with biologists to produce living art pieces [Sugar Babe - a living reproduction of Van Gogh's ear, see above] and bio-art [DNA canvas, see below]. One train of thought leads us to question the validity of Artificial Intelligence. Currently, the science community believes that AI would not be possible - though we can programme computers to "learn", they still really only reading patterns as recognised by their algorithms. It is widely acknowledged that there are too many technical issues that would stop computers from every truly being creative. If computers could be creative though, how would humans interact with their designs? Would automaton creations be undesirable due to their perfect nature? Would they be missing the relatable human aspect? As our project continues, we will be following this chain of thought and considering, if it were possible, if there would be a backlash to design where we had taken the creator out of the creation.